The chair of the Food and Drink Federation has said he is “absolutely terrified” about the possibility of a no-deal Brexit, which he fears could lead to a spike in food prices. Ian Wright warned of “massive disruption” to the industry if the government applies tariffs to food imports from the EU in the event of no deal. He added: “I’m absolutely terrified of the prospects for our economy and our food and drink industry by the prospect of tariffs. In February, UK environment secretary Michael Gove promised that the government will apply tariffs to food imports to protect British farmers in the event of a no-deal Brexit. “One thing I can reassure you it will not be the case that we will have zero-rate tariffs on products, there will be protections for sensitive sections of agriculture and food production,” Mr Gove told the annual National Farmers’ Union conference. 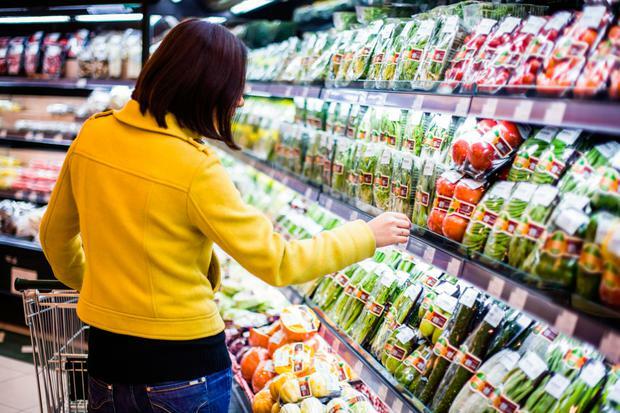 Alongside the Food and Drink Federation, some of the UK’s biggest retailers, including Asda, Marks & Spencer and Sainsbury’s, have also warned that a no-deal Brexit would undermine the food industry’s complex supply chain and threaten the country’s food security. In February more than 30 trade association within Britain’s food industry threatened to break off cooperation with the government because of the risk of a no-deal Brexit. They told Michael Gove that they cannot “respond to non-Brexit-related policy consultations or initiatives”, arguing all energies must be focused on the crash-out risk. However, Brexit-supporting Wetherspoon founder Tim Martin highlighted that leaving the EU will allow the UK to lift existing tariffs on trade with countries outside the bloc. “We’ll have far less tariffs on New Zealand wine, on rice, on oranges, on bananas,” he told the BBC.